"The Radical Lead RE-ENERGIZED" book by Steven Farber is a novel with a leadership theme tied to it. 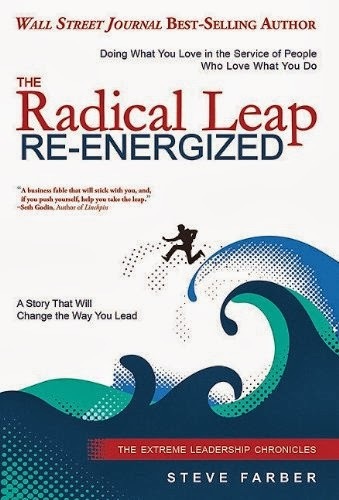 The story is about a leadership coach named "Steve Farber" who found his purpose through associating himself with great minds. The story is told in a way that's both inspirational and funny. I had a hard time putting it down. A BBM Barcode can be found every couple of pages which redirect the user to a website with information that supports what you've read. It's the first time that I see a merge between technology and books done this way and it worked well. Steve Farber (the author) did a good job at keeping me interested throughout while teaching me about the importance of a good association and the concept of WUP (Wake Up Pad). If you're looking to get to the next step as a leader, or looking for inspiration, pick up this book.